Vuarnet's 002 sunglasses are nothing if not iconic. 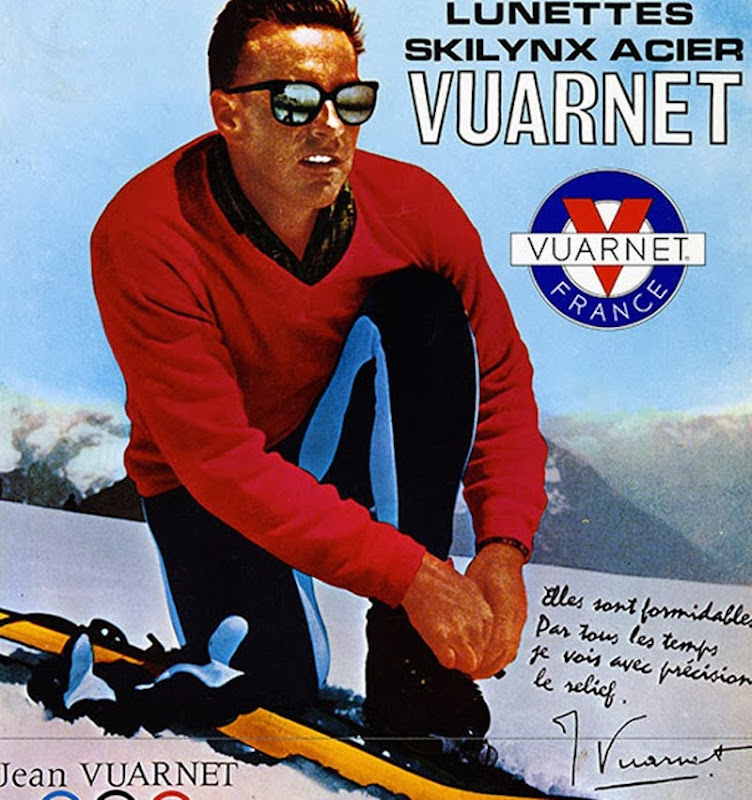 Debuted in 1960 by the French sunglass company and marketed by alpine downhill skier Jean Vuarnet, the mineral tinted sunglasses were worn by the European ski set and became a beacon of sporty fashion well in the 80s and 90s (I *think* Princess Di wore them skiing, but can't confirm). With so much popularity, and even an official sponsor of the 1984 L.A. Olympics, it's hard to believe that the company stopped distributing to the US in 1996 and ceased production all together on the 002 model in 2000. BUT! This September the 002s came back—they're being produced in France once again and are being distributed in the US as well (thanks, Westerlind). Clare Vivier in Silver Lake just got their stock today (the Clare V. store in NYC also has 'em) and Stag Provisions in Venice also stocked up on Vuarnets this week. I think these cat eye beauties might be hot hot hot commodities this season.